Cute layout. Love the big banner and the trio of bats. Gives it a great Halloween feel. That's such a cute picture of Trevor and his fellow trick-or-treaters too. 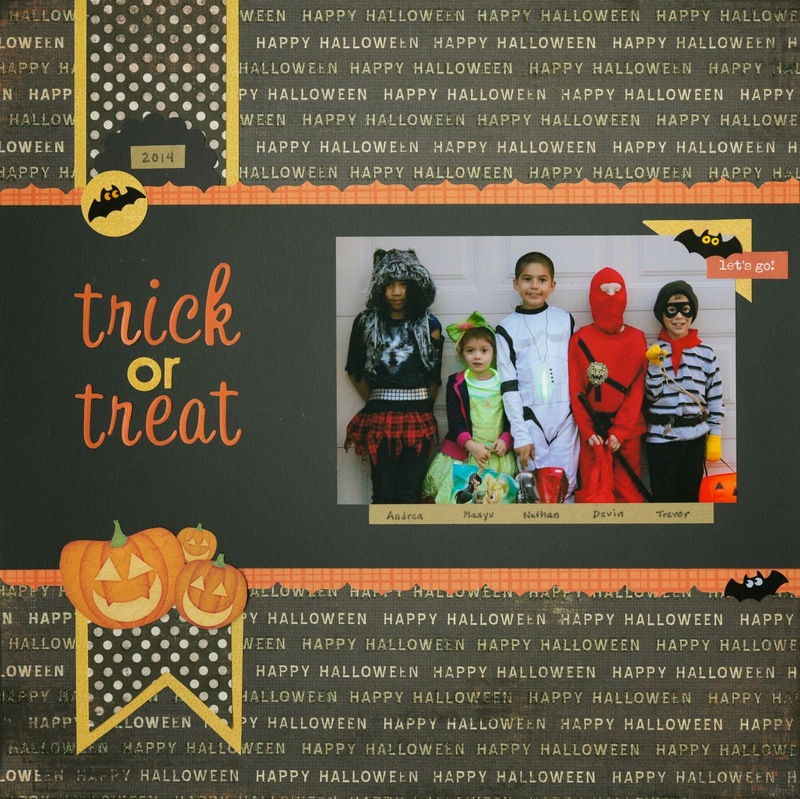 I love Halloween photos and layouts any time of year! Loveeeeeeeee this! LOVING the colors and the pumpkins!!!!!! This looks fabulous! Love the dark background with the bold pops of orange and yellow accents! Perfect photo and layout! :) I love the title font, bats, pumpkin grouping and the orange horizontal borders. It all looks so good!! I love Halloween, too!